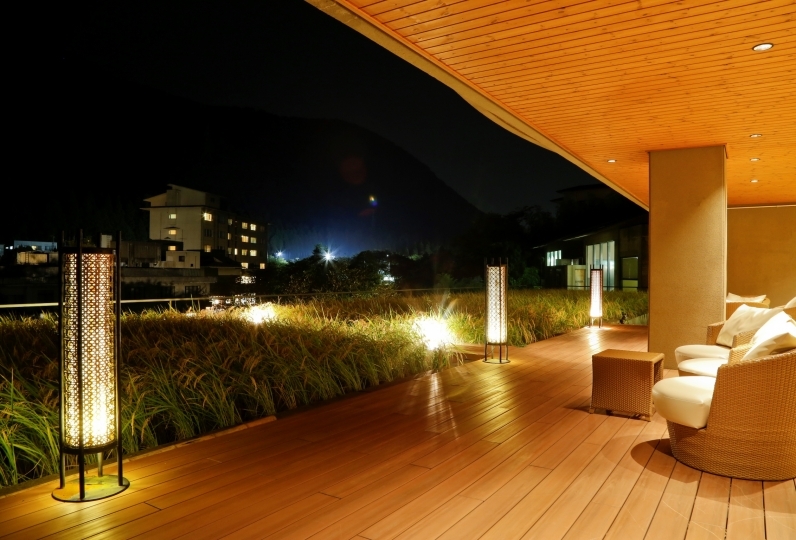 If you wish for a nice relaxing hot spring, a gourmet cuisine, and a quiet and elegant guest room, Rurikoh is the place to be. 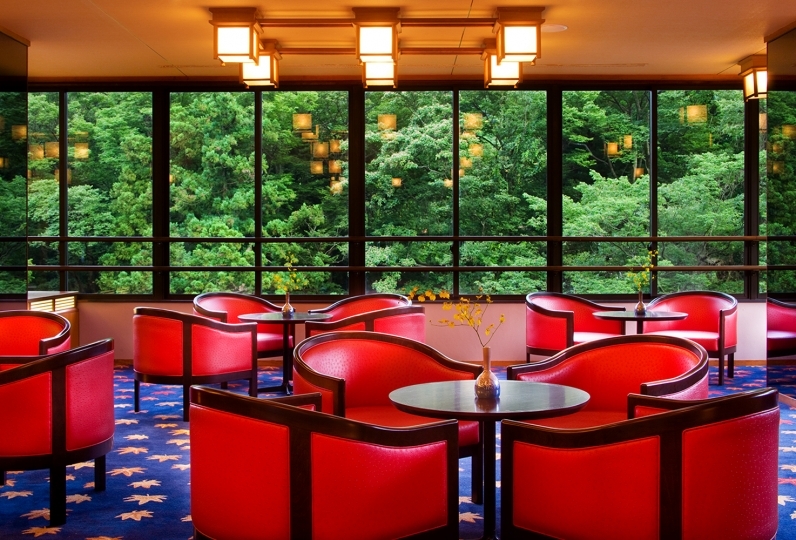 Your exciting stay begins at the Club Lounge, the first special Club Lounge opened in Hokuriku area. Rurikoh came from the name of the Guardian God, Yakushi-Rurikoh-Nyorai. A Buddhist priest once came across a bird healing the wound in hot spring water. 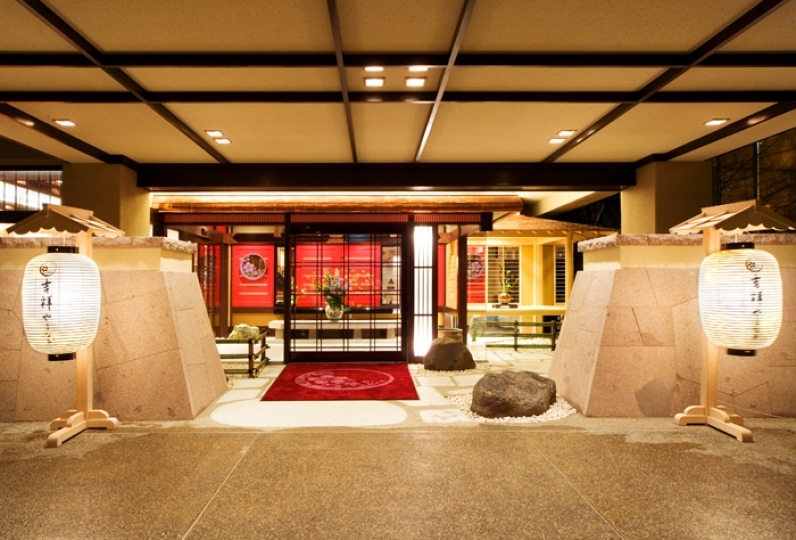 Ever since Yamashiro has been providing the hot spring water to tourists and locals for more than 1300 years. 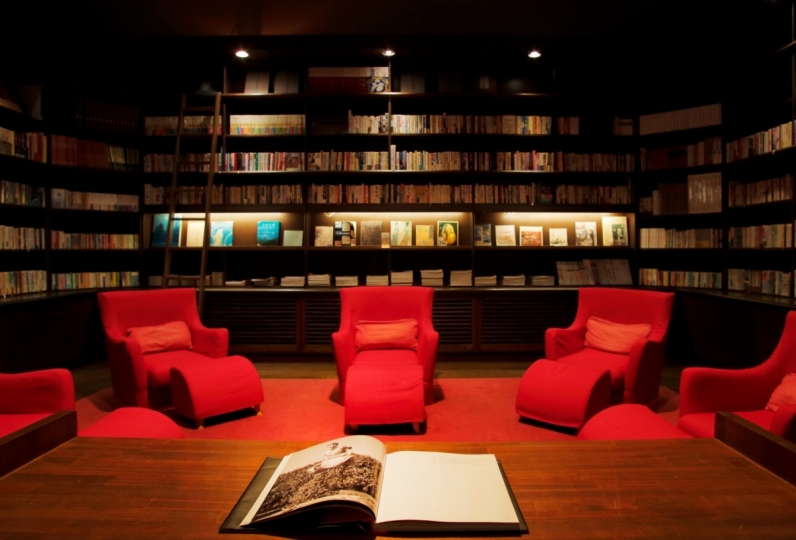 It is also a great feature at New Hoshi-no-to. 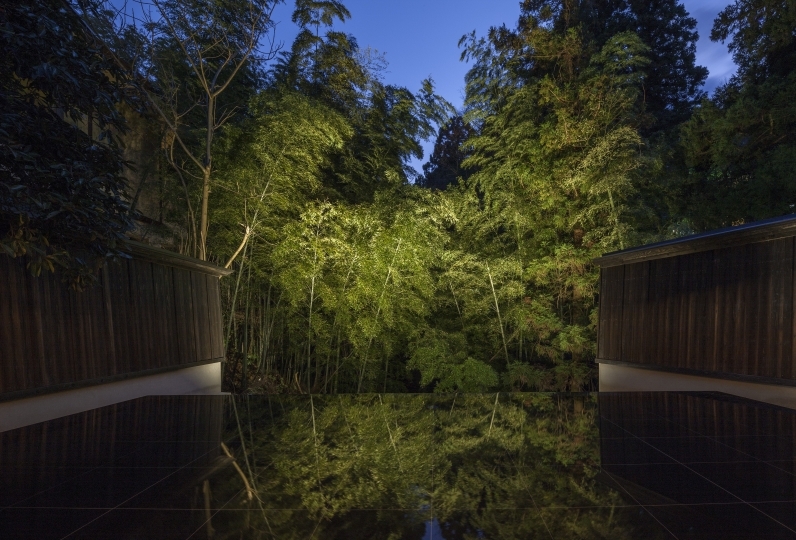 Interestingly, the hot spring water of Yamashiro presents a different aspect during the day and night. All guest rooms have elegant and classy decor. and do nothing but kick back and relax. The chef who grew up in the area is committed to offering guests the dishes rich in locally grown products. When the ingredients are combined with skilled chef's hands, it becomes a dish that brings out an excitement. 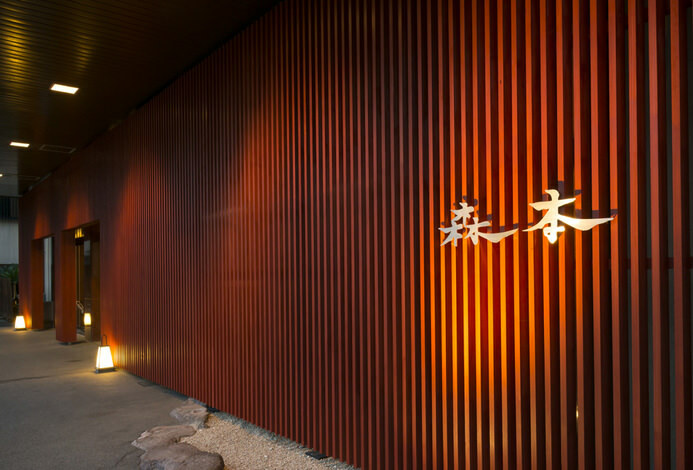 Kaga cuisine, rich in seafood and mountain delicacies, is something guests should not miss. 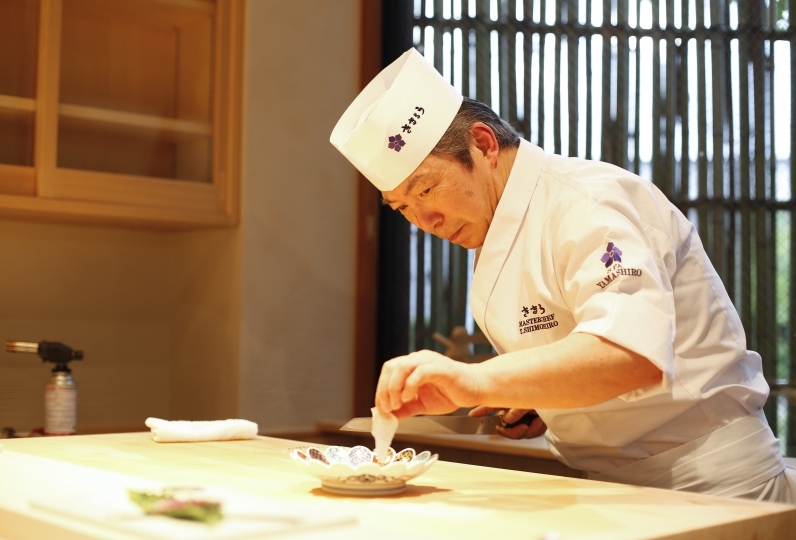 dishes full of Kaga's local ingredients, and most of all, the hospitality of our staff. All are there to welcome you to the special suite that guarantees an outstanding stay at the "Ruriko"
Even though I put on the air conditioning, only warm wind came out. I'm glad I was in charge. The conversation was also very enjoyable. Thank you for making your trip great! I spent a very elegant time. There is an open-air bath where you can enjoy the seasonal emotions as well as a peaceful granite large communal bath. To enjoy a private time, we prepare 5 private open-air baths, foot baths, and more. 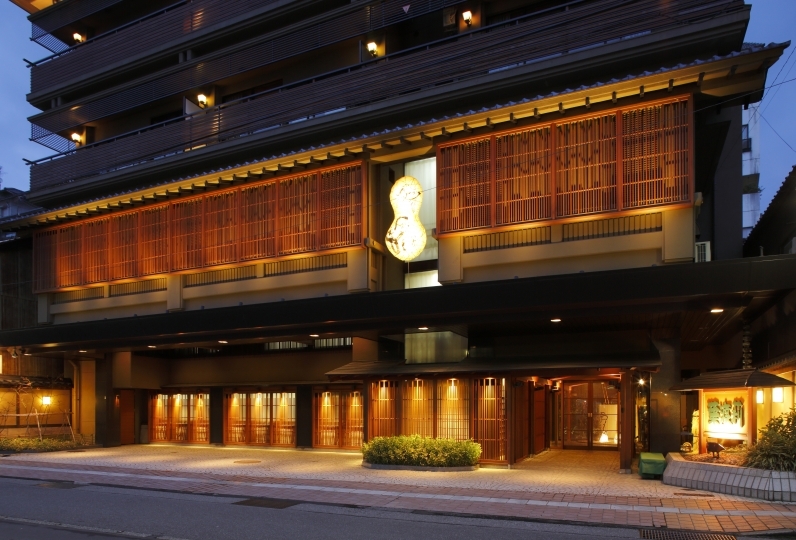 You will also be able to enjoy the baths at sister inn 'Hatori', 5 minutes by foot. The 5 distinct bath's bathtubs are various types such as granite, barrel type, and more. Sister Inn 'Hatori' is 5 minutes by foot. Seasonal jelly and ice candy are prepared for after the bath in the evening. With the various relaxation methods such as a beauty spa, aroma, and more, we recommend a luxurious healing time after your bath. Taiko performance by players wearing masks of demons. A very powerful and impressive performance you shouldn't miss! Free wi-fi is available in all guestrooms as well as all parts of of the hotel. Free pick-up service is available. *If you wish to pick you up regardless of the arrival train, we may have you wait for about 15 minutes. *If you exceed 10 people please ask in advance.